Sugaring for Hair Removal – What You Need to Know? Sugaring, also known as ‘sugar waxing’, is an ancient hair removal method. It is a complete natural way that makes use of some everyday kitchen ingredients for pulling out unwanted hair follicles from their roots. It is an easy and effective alternative to traditional waxing and you can enjoy the results for at least 6 weeks. The sugaring substrate is made of sugar, lemon juice and water and applied onto the target area of the skin at room or lukewarm temperature. It sticks only to the unwanted hair instead of getting attached to the skin and removes the strands completely from their roots. Sugaring is a viable option for the whole-body-use. Being a natural way to hair removal, it is absolutely perfect for getting rid of very fine hair from the face as well as the sensitive parts of the body (like bikini lines). 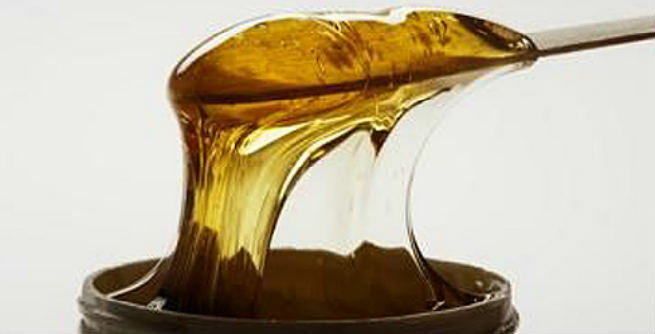 Paste Sugaring: In this conventional method, a thick and sticky paste is spread on the hair strands in the direction opposite to their growth. It needs to be removed in the same direction in which the hair had grown. Gel Sugaring: This method involves the application of a gel-like mixture in the direction of hair growth. However, it should be flicked off in the opposite direction. Though you can purchase pre-made sugar paste from the market for hair removal, it is better and even easier to prepare one at your home. Take all ingredients in a pot and heat them up in a microwave oven. For paste sugaring, keep the temperature 118°C, while the gel can be prepared at 121°C. It will take only 2 to 3 minutes to turn into a thick, silky and syrupy (neither too sticky nor too runny) liquid of slightly golden (brownish-yellow) color. Take it out from the oven and allow the mixture to cool down to the room temperature. Shift it to a re-heatable jar so that you can easily warm it up prior to using. Dust the target area of the skin with some cornstarch or talcum powder and spread it evenly with a spatula. Make sure that the sugaring substrate is a little warm to spread thinly onto the skin without causing burns. Apply it uniformly. Then, take a clean strip of paper or cloth, press it firmly into the paste or gel against your skin and remove fast. Doing it for 3 to 4 times will make all the unwanted hair follicles come out with the strip. If you are yet to master the method of sugaring for hair removal, the chances are big that you will end up developing rashes, redness, bumps, itching, etc. right after the process. However, all these can be reduced or completely cured within 15 minutes by applying cold compresses or simple ice packs. It is simple, easy, less painful and inexpensive way for hair removal. It does not contain harmful chemicals like resin, which makes it a safer choice. It comes with lesser number of side effects. It can be used for eliminating all sorts of hair from all over the body. The cleanup is extremely easy and hassle-free.